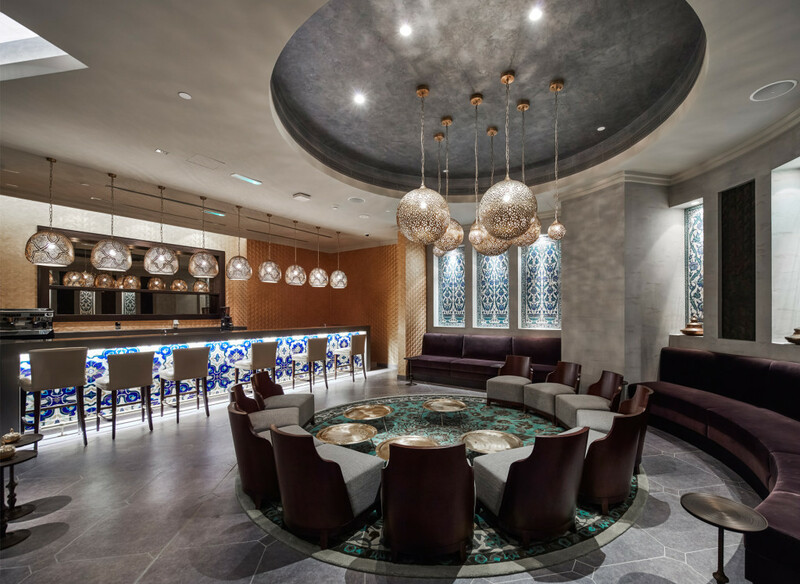 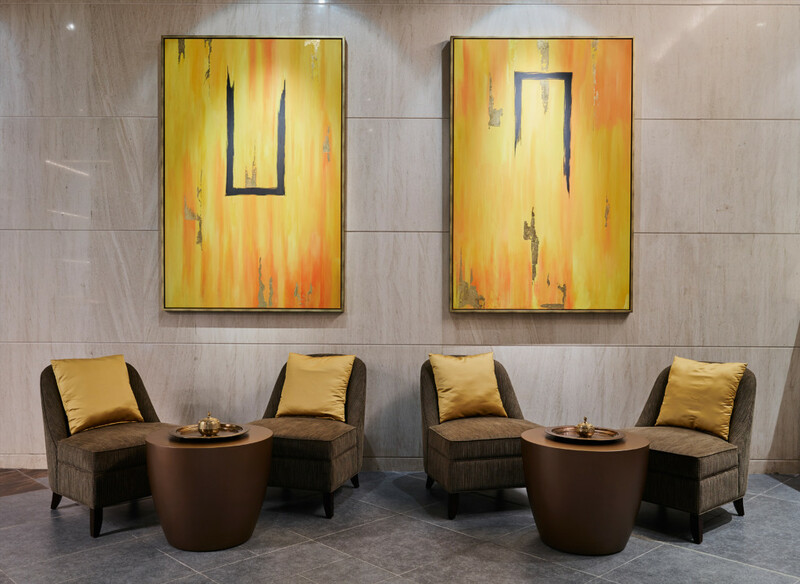 The concept behind the reception entrance and public spaces was inspired by an abstraction of the geometries found in Arabic patterns and translated into sculptures, decorative screens and floor patterns. 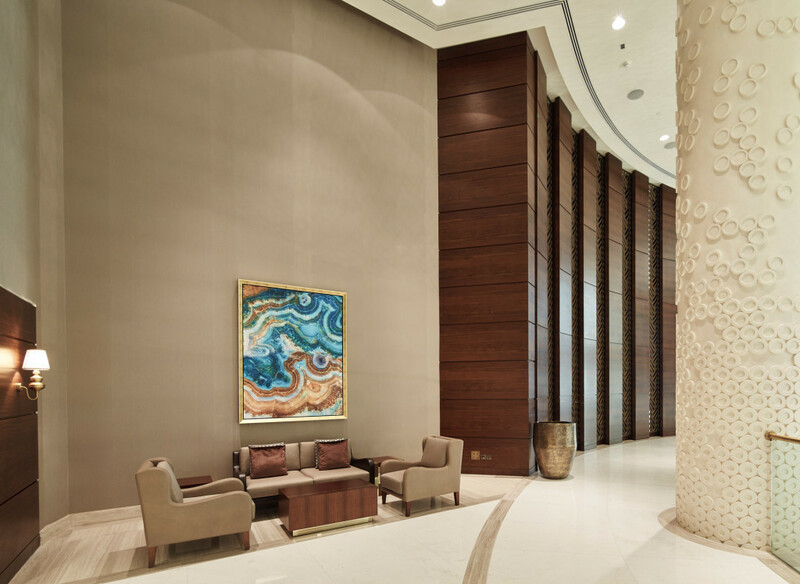 On entry, guests are greeted by a double-height reception area, and a thirteen level atrium space flooded with natural light. 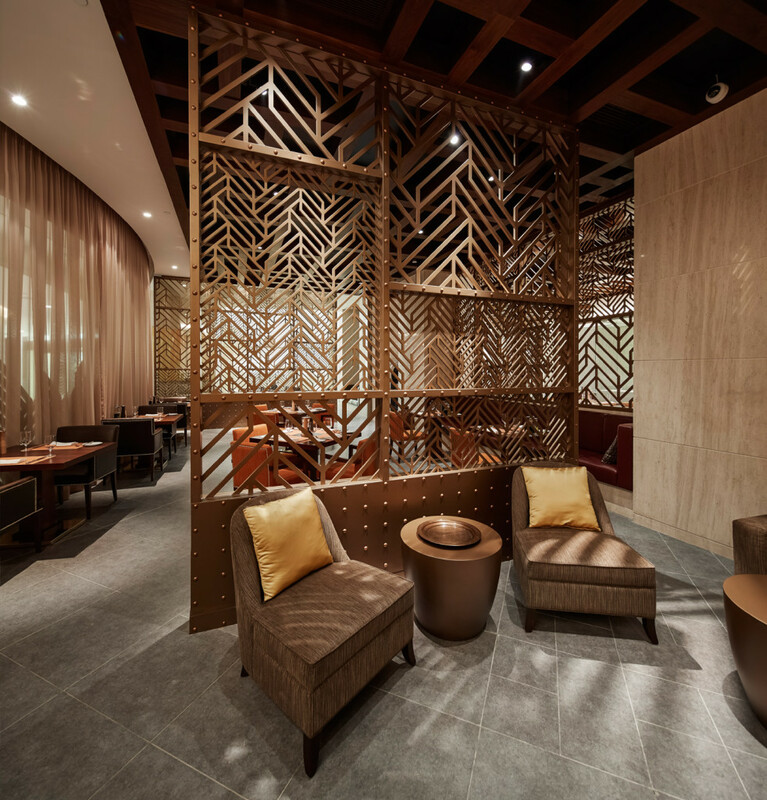 A feature folded timber and bronze backdrop behind the uniquely-shaped concierge and reception desks acts as a curtain concealing the administration areas. 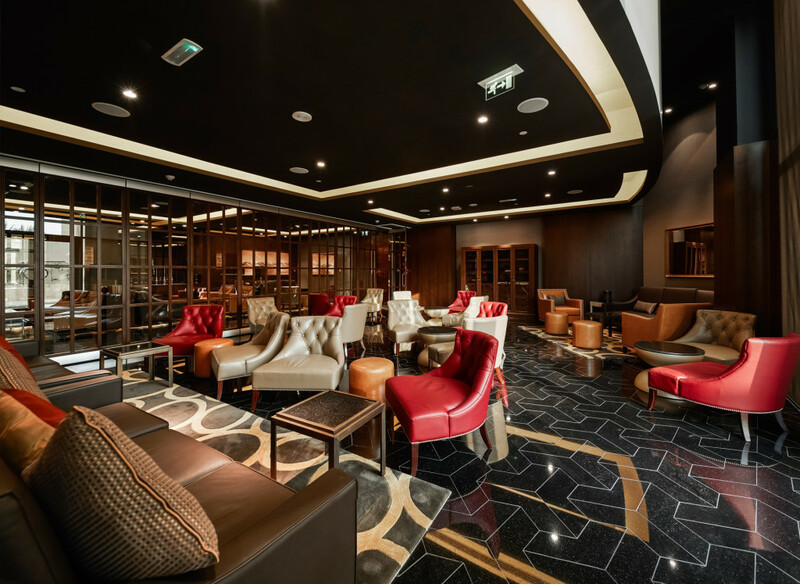 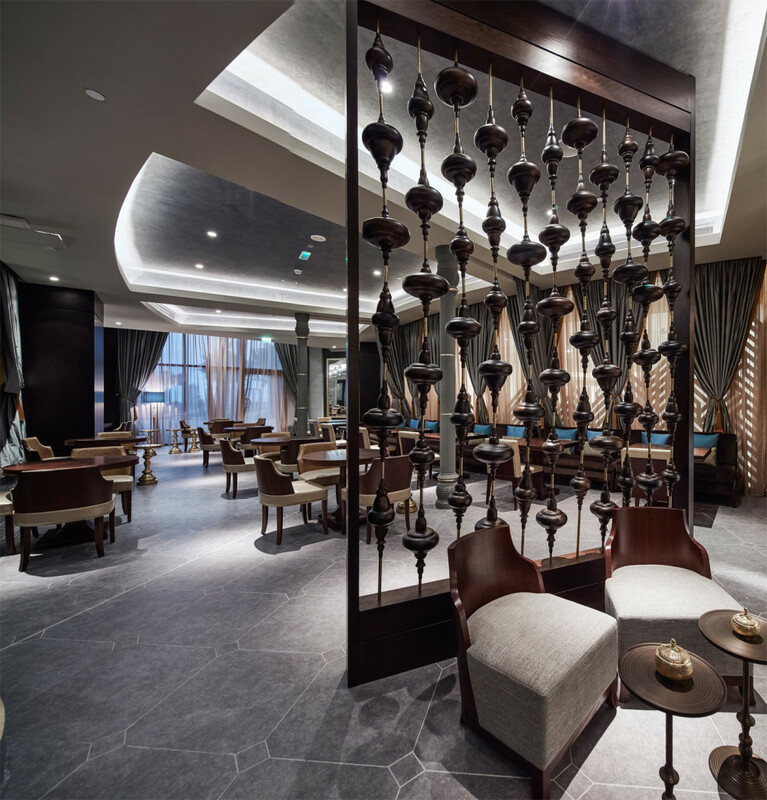 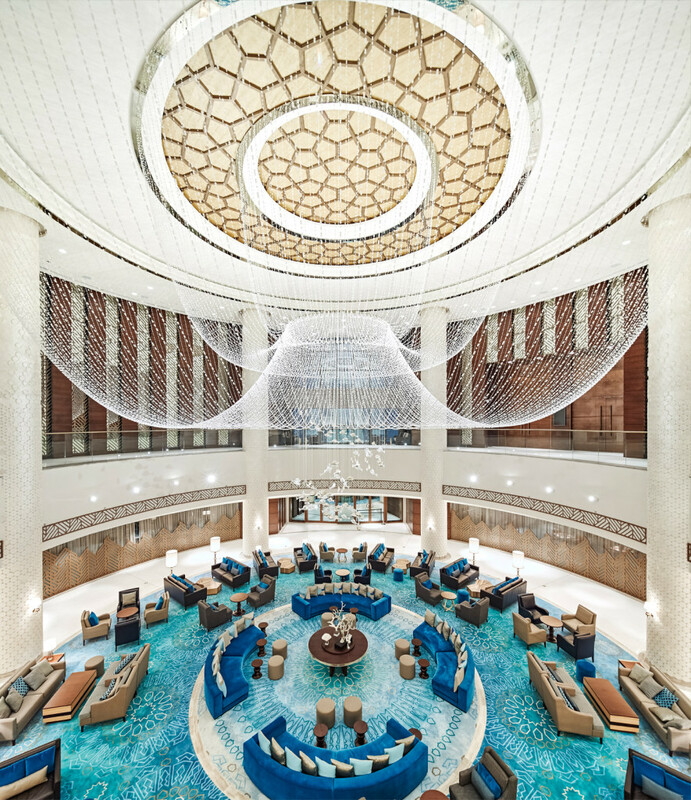 Furthermore, the hotel lobby space showcases an elaborate ceiling installation to represent the local fishing nets made of strands of bronze beads and Swarovski crystals. 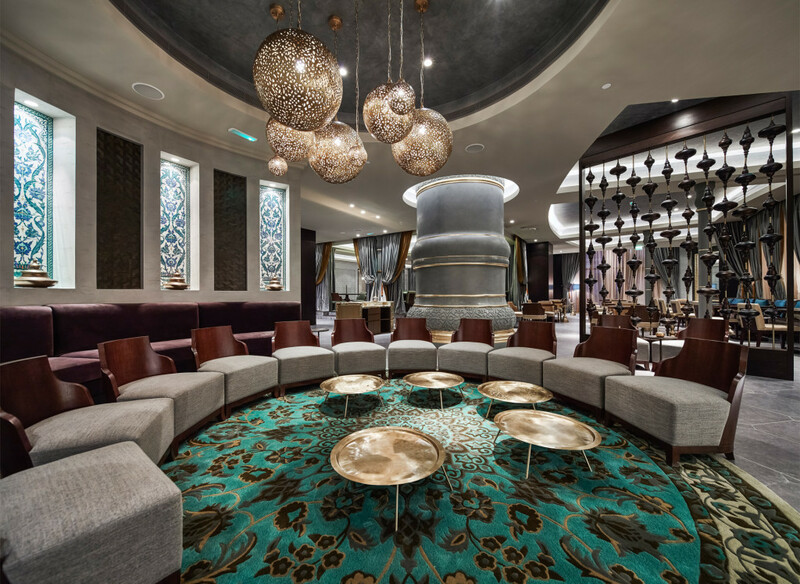 This installation is enhanced by a bespoke carpet which, together with the furnishings, merge the various blue shades of the Arabian Sea. 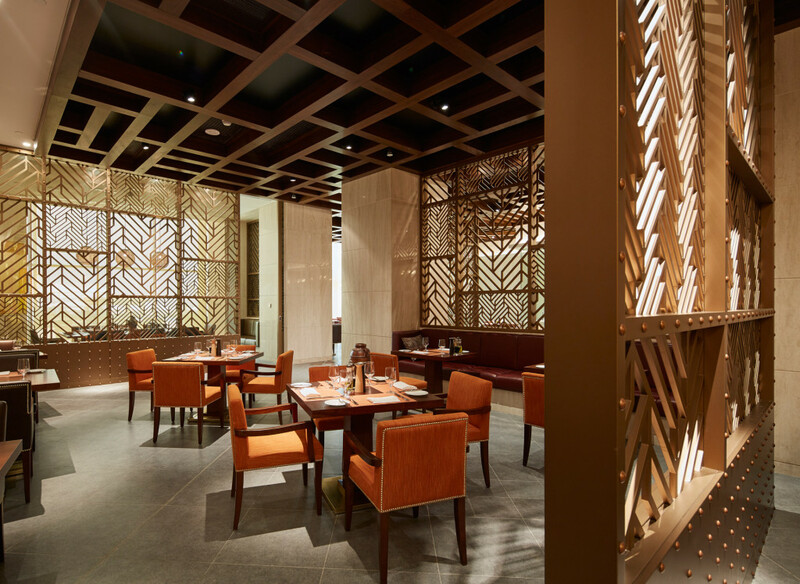 Inspired by an abstraction of the geometries found in Arabic patterns and translated into sculptures, decorative screens and floor patterns.